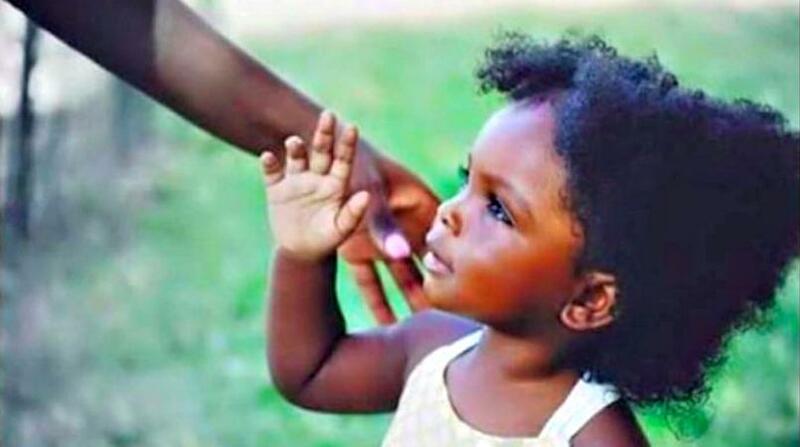 Some natural hair persons are praying for long hair but forgetting about their "baby hair" or their edges. They talk about length checks and length goals but the health of their hair is sometimes questionable at best and their edges are nonexistent, to say the least. This week Loop Lifestyle will look at edge care. 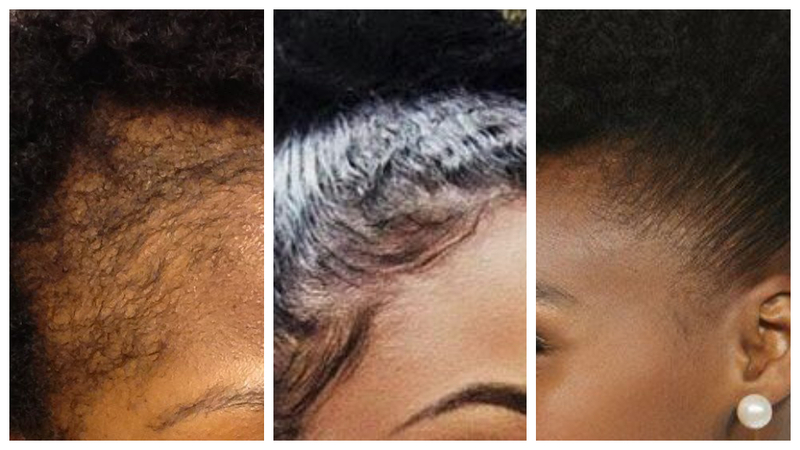 Here are seven tips to help persons keep their edges. 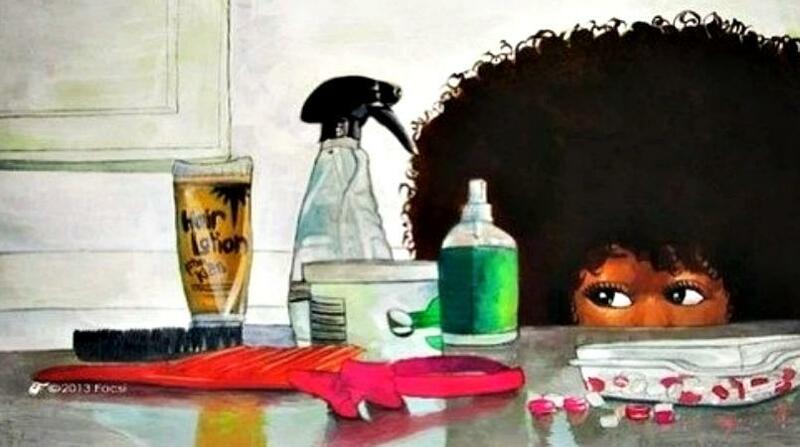 If every single time you do your hair you must lay your edges, you are doing more harm than good. Sometimes you have to let your edges be. Gel, especially gel containing alcohol, will make the strands brittle if you apply it daily. Secondly, all the stress with the fine-toothed rat tail comb or bristle brush or toothbrush will rip out hair strands or snap them as you work to bend the fine hairs into curves E-VERY-SIN-GLE....DAAAY *insert Soulja Boy Draaaaaake face here*. Not all hair stands are created equally. Those fine hairs at the edges can't take as much pulling and tugging, so when getting braids, just ask the braider to leave out some of your edges. Tell him or her to leave them out from the get-go because some stylists now braid them in and afterwards use the comb to try to pull back out hair to create edges. "OUCH and Goodbye edges!" To stimulate growth you can massage your scalp with emphasis on your edges. Don't forget the edges at the back of your head by your nape as well. Some persons still do the inverted method which is lying on a bed with their head hanging off the edge while massaging. You can research it. They say it increases blood flow. Don't buy those oils that say 'X oil' and in the ingredients, it lists every oil under the sun. Those are fake oils. Look for the words 'Cold pressed' on the bottle. They cost a little more but they work. This not only helps for thin edges, but it also helps with hair shedding. This is especially recommended for women who just had a baby. And it's S-I-M-P-L-E! Video caption: YouTuber Naptural85 shows how she does a tea rinse. Let sit for 5 to 10 minutes if it's a caffeinated bag. If it's decaf you can let it sit for longer. Pour in an application bottle. Apply to the tea rinse to freshly shampooed hair (Before conditioning). Massage the tea into the scalp. Section hair to make it easier. Why do tea rinses work? Caffeine blocks the hormone responsible for causing hair loss. The hormone is called DHT or Dihydrotestosterone, Not only will the rinse help reduce shedding, but it also stimulates the scalp and strengthens hair. Quit slicking your hair back into sleek ponytails. Two days a week max for sleek, tight ponytails. No more! A loose, even messy ponytail is better for your hair but it's understood that some believe the sleek ponytail gives a more "professional" look for the workplace. As it relates to glues, those rocking lace fronts especially, need to be kinder to their edges. Snatching off your wig is nothing funny. You need to soak your edges using some rose water or a water and conditioner mix in a spray bottle. Apply it straight to the edges and let it soak for at least five minutes before easing up and off the wig. You can also use a Hair Bond Remover. TIP: Apply the glue to the skin as close to your edges as possible and not directly to your edges for added protection. As we started so shall we end. Focus on your whole head - totally healthy hair. Sometimes just quit manipulating your tresses. 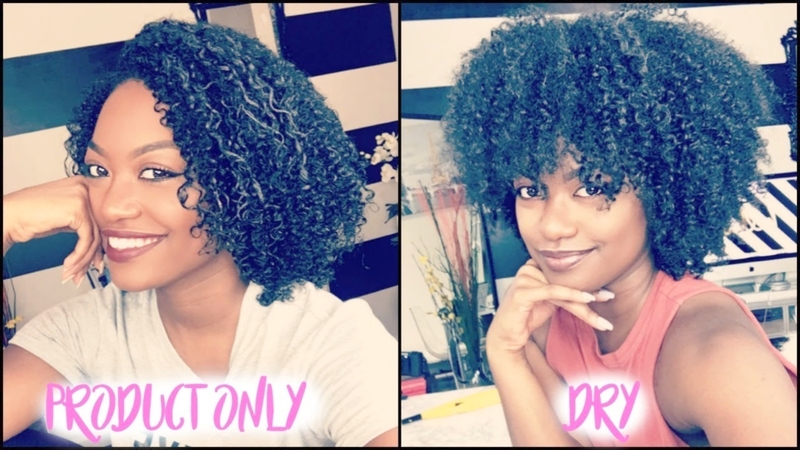 Photo caption: YouTuber Kimberly Cherelle from Atlanta rocking a wash n' go without using water. 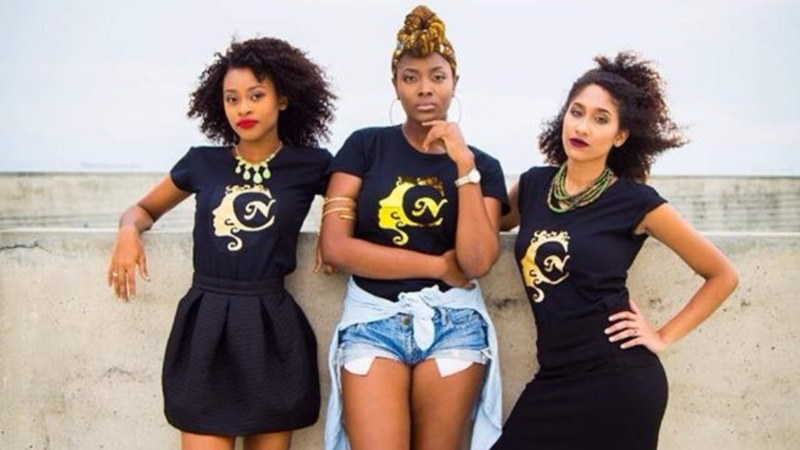 Don't rock wigs or braids or ponytails nor use combs and brushes daily. Wear a wash n' go some days. This is even without a bando. Just let your hair be free and leave your edges unchecked. In this heat, no gel is keeping your edges laid all day anyway, so give your edges some rest. PERIODT! If you can wear a braid out or twist out or wash n' go at least three days a week, do it; not just your edges, but your hair and scalp will thank and reward you in the long run. Here's to healthy hair 2019!